Sources say talks and discussions between a few representatives from both sides are on, but a section BJP's state unit 'not keen' to rebuild the alliance. New Delhi: As Bharatiya Janata Party (BJP) goes on an alliance-sealing spree, the ruling party and its estranged ally in Assam, the Asom Gana Parishad (AGP), have taken “some initiatives” to explore the possibility of a patch up, less than two months after the latter snapped ties over the contentious Citizenship (Amendment) Bill. According to a top BJP leader in Assam, “there have been some talks and discussions between a few representatives of both sides”. The move comes even as a section of the party’s state unit “is not that keen” to rebuild the alliance. With the opposition looking to forge a loose “grand alliance” against the Prime Minister Narendra Modi-led party, the BJP has also ramped up its efforts to bring its house in order and concretise key alliances. Earlier this week, the party managed to clinch a difficult deal with an aggressive Shiv Sena in Maharashtra and forge an alliance with the All India Anna Dravida Munnetra Kazhagam (AIADMK) in Tamil Nadu. In the first week of January, the AGP had announced its decision to split with the BJP as a mark of protest against the Modi government’s efforts to push the Citizenship (Amendment) Bill. The AGP was part of the BJP-led coalition government in the state. Of the 14 Lok Sabha seats in Assam, the BJP had won seven and the Congress three in 2014. The AGP hadn’t won any seat. In the 126-member Assam assembly, the BJP won 61 seats and the AGP 14. Expecting to suffer reverses in some key regions — particularly the heartland — the BJP has been hoping to compensate for the losses to some extent through gains in the east and northeast. After the AGP’s acrimonious split with the BJP, the Congress had expressed its “willingness” to join hands with the AGP, but the party had said it wasn’t “interested at the moment”. 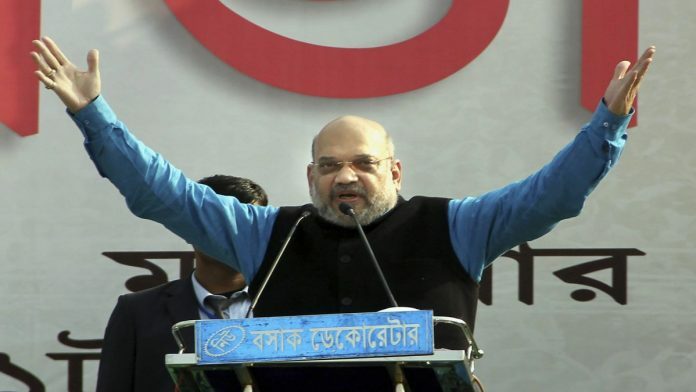 However, with the field now wide open and little time left for the Lok Sabha elections, the various political players in Assam are engaged in hushed parleys, including the BJP and AGP. “There are some initiatives and discussions between us. The AGP has also reached out. Some leaders on both sides are in talks,” said a top BJP leader in Assam who did not wish to be identified. However, the leader also pointed towards the lack of keenness in sections of the state unit. “A section of our state unit isn’t that keen on the alliance given the bitterness and optics, so it all seems iffy for now. We hear AGP is also talking to Congress, so that might also work out given the BJP’s state unit isn’t entirely convinced about the patch-up,” the leader said. Sources in the AGP also confirmed “open discussions” were on with the BJP. However, officially the party has denied any efforts to reach out to its former ally. “As far as I know, no discussions are on,” said former Assam chief minister and AGP leader Prafulla Kumar Mahanta. There have been other signs of efforts of rapprochement as well. In a meeting with senior BJP leader and minister in Assam Himanta Biswa Sarma, Meghalaya Chief Minister and president of National People’s Party (NPP) Conrad Sangma is believed to have pushed for a BJP-AGP tie-up. Last month while on a visit to Assam, BJP national general secretary and the party’s in-charge of the northeast Ram Madhav had “appealed” to the AGP to “come back to the alliance”. “We have contested the polls in 2016 as an alliance, so I appeal to them to come back to the alliance. There are concerns over the Bill, but we can allay the fears by talking to them,” Madhav had said. The BJP, however, has been talking in different voices on the issue, reflecting a clear discomfort with the idea within a section of the Assam BJP. State BJP president Ranjeet Kumar Dass Monday claimed the party took a “decision a few days ago not to have any electoral tie-up with the AGP”. The key factor behind the AGP-BJP rift is the controversial Citizenship (Amendment) Bill, passed by the Lok Sabha in early January. The BJP has been pushing for the Bill according to which illegal migrants who are Hindus, Sikhs, Buddhists, Jains, Parsis and Christians from Afghanistan, Bangladesh and Pakistan will be eligible for citizenship in India. This comes at a time when the National Register of Citizens (NRC) is being updated in Assam to identify those who immigrated illegally from Bangladesh to Assam after 24 March, 1971. The AGP has vehemently objected to the bill, claiming it goes against the tenets of the 1985 Assam Accord, and has maintained that all illegal immigrants from Bangladesh, irrespective of religion, be deported. The origin of the AGP and its politics — given it was formed by leaders of the six-year-long agitation in Assam against illegal immigrants — meant the party could not be seen as a BJP ally with the latter trying to push the Bill. However, with Parliament now over and the Bill having lapsed, the AGP has some manoeuvering space, unless the BJP takes the ordinance route.